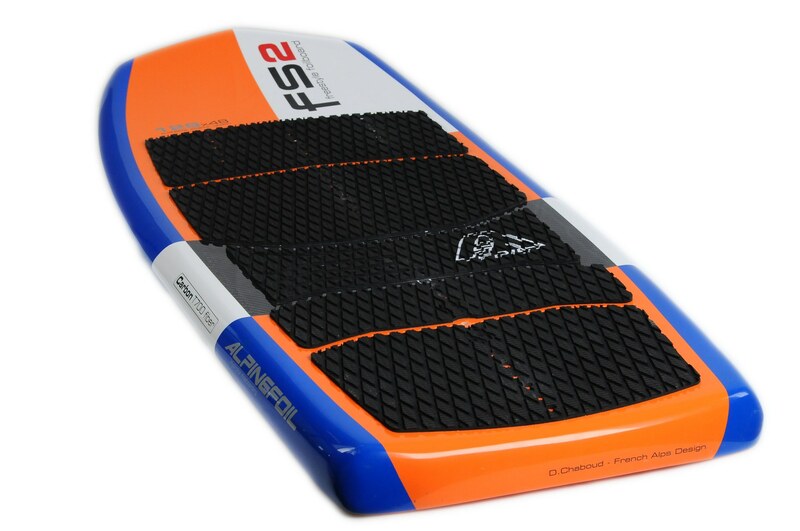 With the FS-2's unique shape and a volume of 25L and measurements of just 129 cm x 48 cm, the FS2 board has plenty of volume while remaining compact and light, making it easy to water start without the need for big kites. The relatively high volume and relatively short length make for a board with extreme maneuverability, with excellent performance during low-speed maneuvers and low-speed takeoffs. 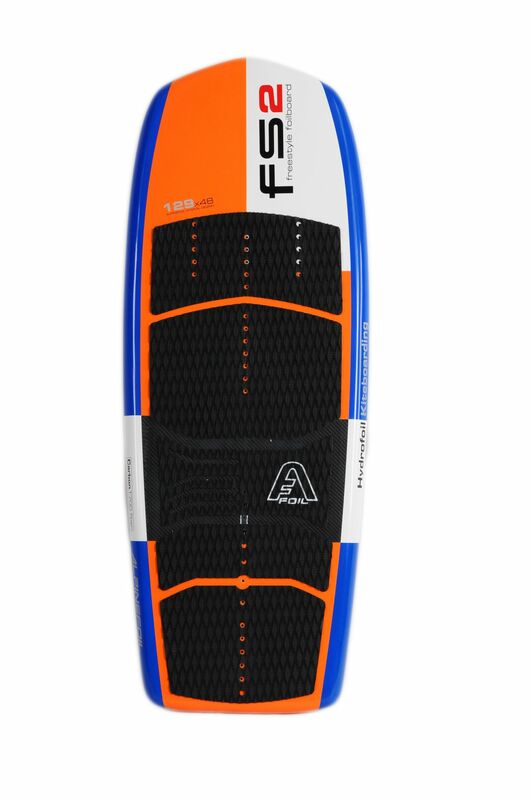 The FS-2's unique concave deck shape is designed specifically for strapless riding, and gives you a direct connection for the feet without straps ! The progressive reversed rails allow easy and smooth gybes and limit the consequences of touchdowns during fast manuvers. 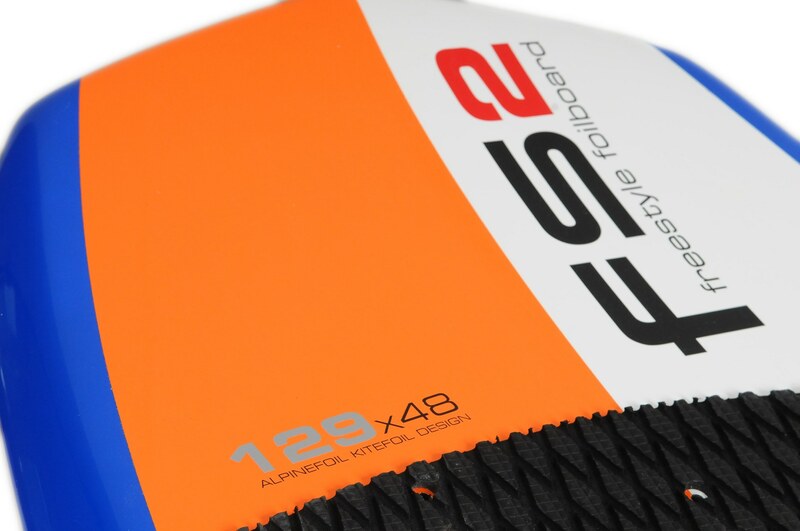 The construction of the FS-2 is identical to other Alpinefoil foil boards, giving it a still unmatched rigidity. A composite Bamboo fiber-epoxy biopolymer applied in the longitudinal direction of the board, which provides extra resilience and durability. 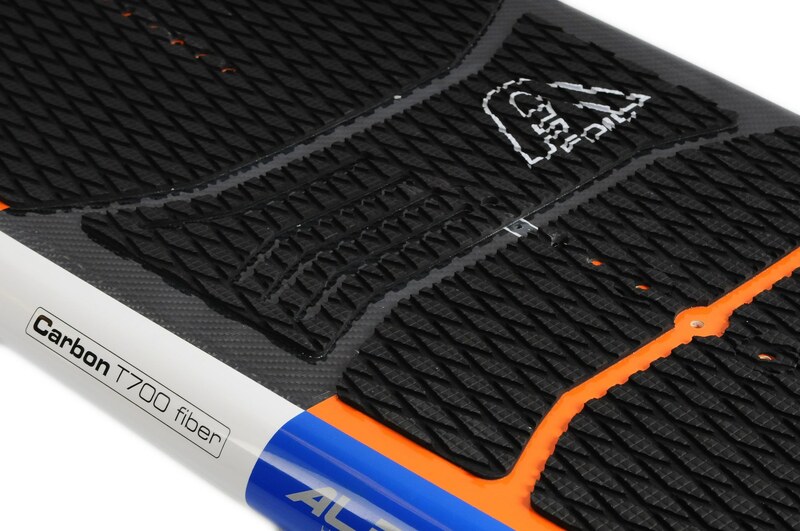 This technology allows the board to be used session after session without deterioration in its performance characteristics – no board "fatigue". We use a high quality epoxy resin in the construction of these composite boards. We chose this resin because its solvent-free base is not damaging to the environment. This resin is also highly resistant to osmosis. For the deck we use a layer of Airex, a cell closed material characterized by extreme resistance to compression, which strengthens the support zone beneath the feet. 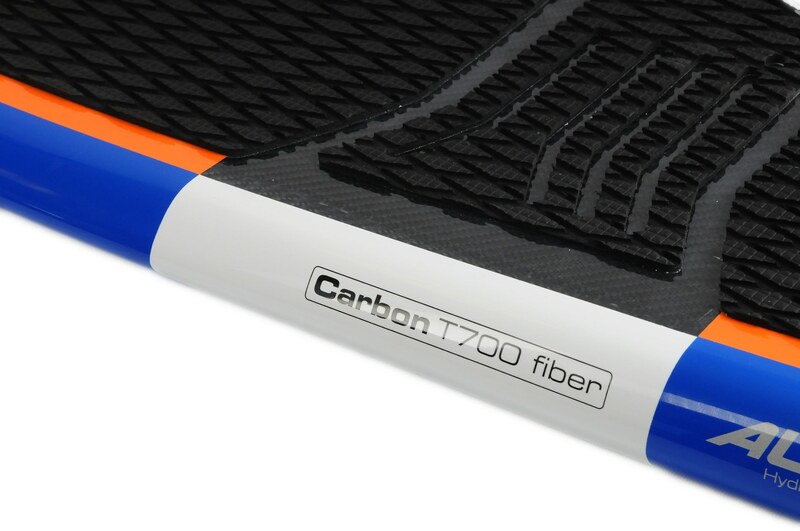 The fully integrated internal carbon F-Box is built into the board during construction and provides a solid connection between the board and the foil. 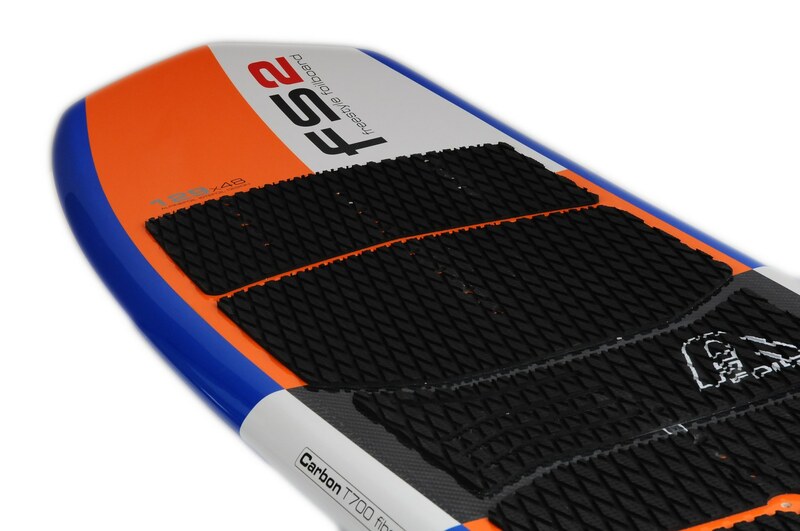 Carbon fiber reinforcements in the box-board construction distribute the forces over a wide area thereby increasing the rigidity and the responsiveness and improving the rider's feel on the foil. The FS-2 has a total of 32 inserts for footstraps at the front and rear, allowing for multiple combinations of foot placements. You can set up the FS-1 with 1, 2, or 3 foot straps, with a single front strap in the center or two front strap in a "V" configuration (or strapless of course), depending on your preference, riding style, and riding conditions. The board's polyester finish and two-component paint are coated with a UV resistant polyurethane varnish.The foot placement is wide and comfortable, allowing perfect and precise contact with the board. 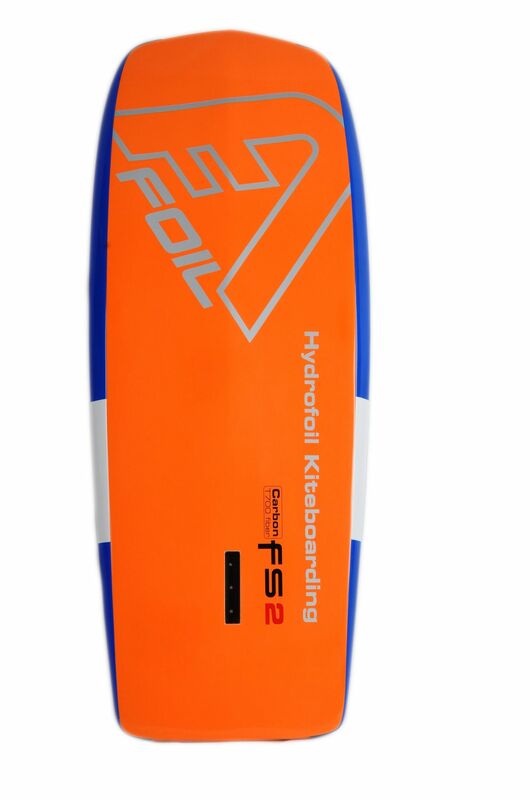 As with all of our boards, we built the FS-2 with the most modern high-tech materials rather than more conventional and less expensive board materials to produce the highest quality freestyle foilboard, in a new, unique shape perfectly suited for freestyle foiling. 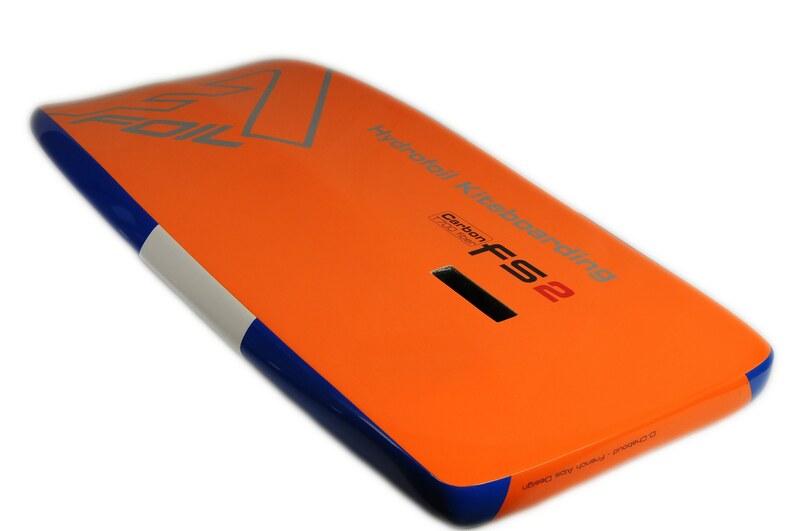 To buy your AlpineFoil foilboard FS-2, go to the online shop. 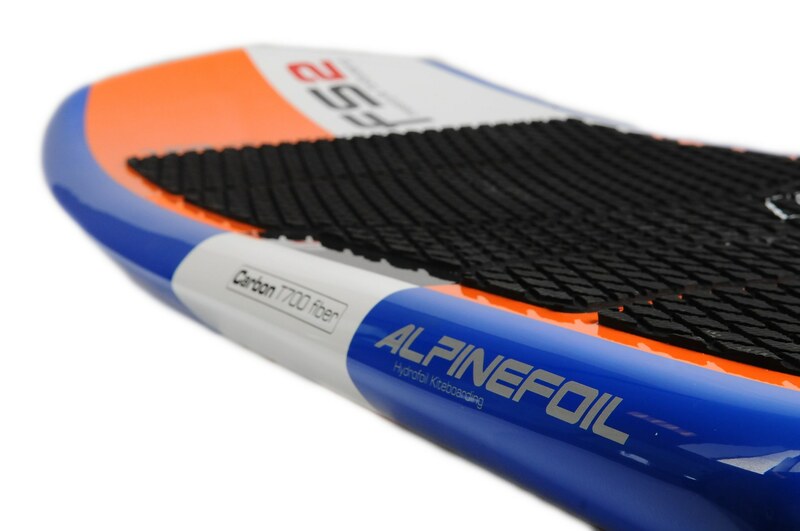 Which AlpineFoil foilboard to buy ? How to choose your board according to your level : beginner, confirmed, expert ? How much is it ? New or secondhand ? Contact us here.